“In the months before the Nov. 6 election, New York’s Senate Democrats received $25,000 from a mysterious group of five donors, with names like 2332 7 Ave LLC, 207 Silver Lane LLC and 228 W 132 LLC. The donors shared one address, at 223 W. 138th St. in Manhattan – home to a real estate management firm with properties across Harlem and the rest of the city. Two more donors from the same address gave $20,000 to another Democrat: Letitia James, who was just elected as New York attorney general. The law treats limited liability companies as people, allowing each to donate up to $65,100 to every statewide candidate per election cycle – far more than the $5,000 aggregate contribution limit for corporations. Firms can create multiple LLCs, effectively erasing any maximum. Gov. Andrew Cuomo, a Democrat, has been by far the greatest beneficiary of the loophole in recent years, raising more than $17.5 million from LLCs since taking office in 2011. The Senate Republicans’ campaign committee raised more than $3.4 million from LLCs in that time, compared with $1 million for the Democrats. The loophole’s existence is one reason critics call New York’s campaign finance laws among the weakest in the nation. The real estate industry in particular has made ample use of it. And Democrats, in their successful bid to recapture the State Senate for the first time in a decade, campaigned on a promise to close it. But even as they vowed to muzzle big money’s influence, they benefited from the same LLC donations they were railing against. Before the 2016 election, when the Democrats’ chances of regaining power seemed less certain, their campaign committee amassed $42,500 from LLCs in the final weeks of the campaign. This year, amid widespread consensus that they would prevail, they took in more than $400,000 in the same period. The corporations’ sudden generosity, and Democrats’ acceptance of it, has raised questions over whether lawmakers will make good on their promise to overhaul New York’s much-maligned campaign finance system, or whether – now that they have consolidated control of Albany’s levers of power – they might prefer to bask in its perks. “Cynics are right to think that, OK, people in power want to get more campaign contributions, whether they’re Democrats or Republicans,” said Michael Kink, executive director of the Strong Economy for All Coalition, a group of unions and community organizations. Democrats insist that closing the loophole will be one of their first priorities in the new year. They have proposed holding LLCs to the same limit as corporations and to count any donations funneled through them toward each stakeholder’s individual limits. By all appearances, the proposal should sail through. The Democrat dominated Assembly has voted to close the loophole for years. Cuomo has said he supports ending it. But, as always in politics, there is rhetoric and there is reality. 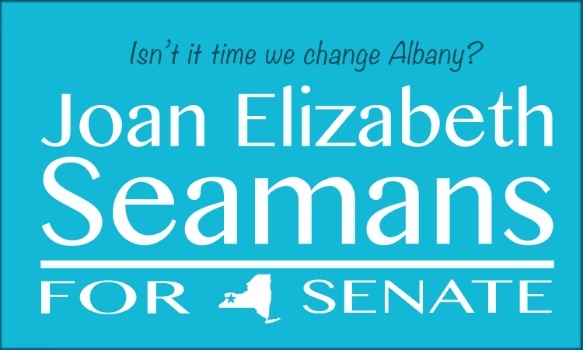 Several people involved with the real estate industry’s political giving said they did not expect the newly Democratic Albany to be entirely hostile to their overtures. Cuomo has suggested that the Assembly may become less enthusiastic about passing ethics reform without the Senate standing by to squash it. “I’m not suggesting that it’s a manipulation, but when you know something’s not going to happen anyway, it’s easier to be supportive of it,” the governor said in a recent radio interview. The same, of course, could be said of Cuomo. For years, he has professed support for closing the loophole; for years, he blamed Republicans for the effort’s downfall. In the meantime, he has raised far more through LLCs than the entire Senate Republican conference. In 2018 alone, LLCs gave Cuomo more than $1.9 million. Democrats denied that their new position in the majority would push the loophole down their agenda. If the Democrats close the LLC loophole and implement other reforms they have backed, including a statewide small-donor matching funds program, New York’s campaign finance laws could go from the nation’s most lax to its most robust, said Lawrence Norden, deputy director of the Democracy Program at New York University’s Brennan Center for Justice. No other state has a similar, active matching program. The timing of reform may prove pivotal to what is sure to be one of next year’s biggest legislative fights: renegotiation of the state’s rent laws, which are set to expire in June. If Democrats close the LLC loophole early, developers may lose one powerful venue for making their voices heard. In the past, real estate groups had used LLCs to deluge upstate Republicans, knowing their constituents would be less likely to care about the industry’s long shadow, according to Susan Lerner, executive director of Common Cause New York, a government reform group. But those involved with the real estate industry said its power brokers did not seem concerned about the prospect of the loophole’s demise. In fact, they cheered it: Tighter restrictions could save firms from having to spend so lavishly on candidates.